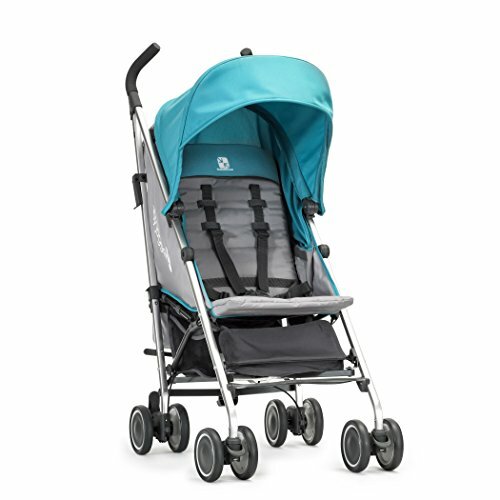 The Vue Lite offers lightweight convenience in an easy-to-use reversible seat umbrella stroller, now only 14.5lbs. Using one hand, you can flip the seat forward or back so that baby can face the parent or face the world. Features a one-hand action to recline the seat or switch seat directions, an easy compact fold with auto lock, and harness systems on both sides of the seat so you can buckle in baby without having to rethread when changing the seat direction. The large sun canopy offers UV 50+ sun protection and provides coverage for both seat positions. The parent facing mode includes shoulder pads for baby's comfort. The Vue Lite offers 5 inch swivel wheels, an adjustable parent facing foot rest to support smaller legs and an under seat basket. The Vue Lite can become a travel system with your infant car seat using a car seat adapter (sold separately). Max weight capacity is 55 lbs. The Vue Lite should not be used for jogging.